Cavitation Peeling I Clear and Healthy Looking Skin in just 30 minutes. I'm SO excited! Cavitation Peeling is now available at Skin Care Room I Facial Treatments. Designed to exfoliate and renew your skin, it's a new MUST - HAVE in your weekly skincare routine. 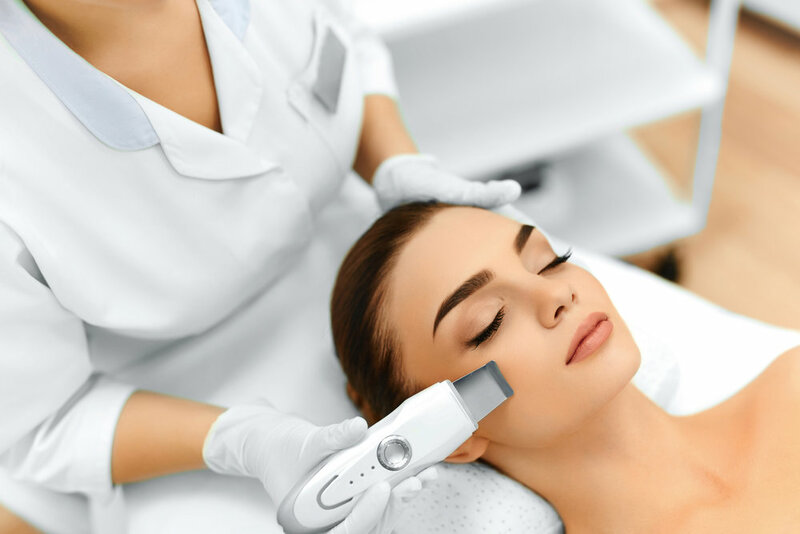 Using ULTRASONIC VIBRATIONS, this short but highly effective treatment removes the excess sebum from the pores and hair follicles, as well as gets rid of blackheads and skin bacteria. Cavitation peeling is enriched with a micro-massage which improves circulation and oxygenation of tissues, resulting in increased penetration of active substances. It's suitable for all skin types including sensitive skin with visible capillaries. TREATMENT INCLUDES double cleanse, skin exfoliation and application of active serum. The ultrasonic vibrations not only purify the pores but also increase the permeability of cells membranes so that active ingredients can easier penetrate into the deeper layers of the skin. Cavitation peeling is RECOMMENDED IN A SERIES OF 4-8 PEELS EVERY WEEK every season change. CONTRAINDICATIONS: pregnancy, fever, skin inflammations, broken skin, heart diseases, metal implants in the body, poor circulation, osteoporosis, cancer, epilepsy. 20% Off Cavitation Peeling Course of 4. Pay as little as €30 per session. Offer valid until Saturday June 30th. 2018. Don't miss out! Sign up with your email address to receive my updates, beauty tips and offers.